iFX EXPO Asia, which was held in Hong Kong in February 2017, organized by Finance Magnates and ConversionPros, marked its 10th anniversary this year. The event has proven to be a great success and was well attended by the FX industry’s leading firms. iFX EXPO Asia, as one of the most influential Forex B2B events, attracts the world’s top foreign exchange industry professionals, investment bank senior executives, well-known investment institutions and business elite. The Expo provides business networking opportunities to Far East, and Asia-Pacific, FX service and technology providers. 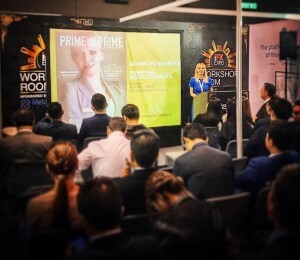 Natallia Hunik, Global Head of Sales at Advanced Markets LLC, hosted a workshop and shared her view on what is a real prime of prime. The FX industry has seen many new names enter the Prime of Prime sector. However, they may or may not perform the actual PoP services. 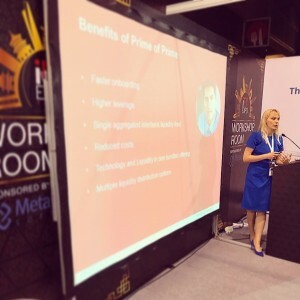 Ms. Hunik pointed the ways to verify if you are working with a real PoP and the available solutions on the market that can enable you as a bank or brokerage to become a Prime of Prime.